After 9 months modeling, we are about to finish the ultra-realistic movie-accurate Wearable Iron Man Mark 46 (XLVI) Armor costume suit in the virtual three denominational space. This entry was posted in Secret,Iron Man Suit Mark 46 XLVI Wearable Armor Costume R&D Milestones,Iron Man Suit Mark 46 XLVI Wearable Armor Costume R&D Full History and tagged buy Iron Man Mark 46 armor,buy Iron Man Mark 46 costume,buy Iron Man Mark 46 suit,buy Iron Man Mark 46 helmet,buy Iron Man Mark XLVI armor,buy Iron Man Mark XLVI costume,buy Iron Man Mark XLVI suit,buy Iron Man Mark XLVI helmet,buy wearable Iron Man Mark XLVI armor,buy wearable Iron Man Mark XLVI costume,buy wearable Iron Man Mark XLVI suit,buy wearable Iron Man Mark XLVI helmet,cosplay,costume,comic con 2017,Captain America: Civil War,Spider-Man: Homecoming,Iron Man Mark 47 armor for sale,Iron Man Mark 47 costume for sale,Iron Man Mark 47 suit for sale,Iron Man Mark 47 helmet for sale,wearable Iron Man Mark XLVII armor for sale,wearable Iron Man Mark XLVII costume for sale,wearable Iron Man Mark XLVII suit for sale,wearable Iron Man Mark XLVII helmet for sale on Feb 19,2017. Chances are, you have already watched the 2nd trailer of the movie 'Spider-Man: Homecoming' . If not, here it is. 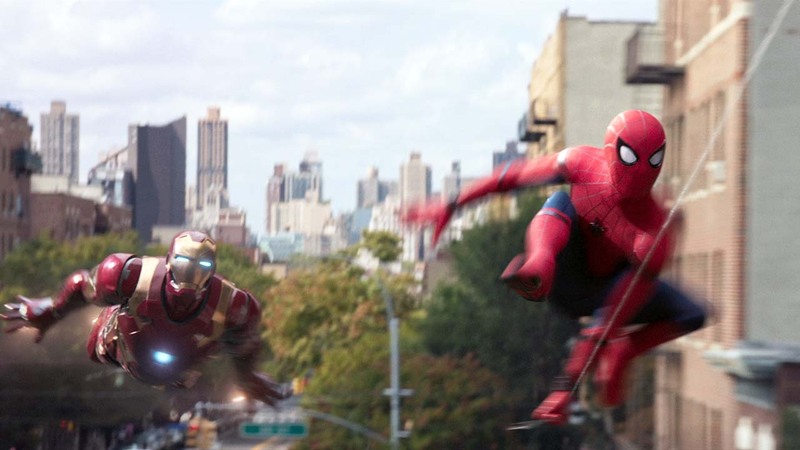 Obviously, Tony Stark will wear the Iron Man Mark 46 armor and join the fight with the new Spider-Man. This entry was posted in News,Iron Man Suit Mark 46 XLVI Wearable Armor Costume R&D Milestones,Iron Man Suit Mark 46 XLVI Wearable Armor Costume R&D Full History and tagged buy wearable Iron Man Mark 46 armor,buy wearable Iron Man Mark XLVI armor,buy wearable Iron Man Mark 46 costume,buy wearable Iron Man Mark XLVI costume,buy wearable Iron Man Mark 46 suit,buy wearable Iron Man Mark XLVI suit,buy wearable Iron Man Mark 46 helmet,buy wearable Iron Man Mark XLVI helmet on Dec 19,2016.